He is stationed at Fort Meade, Maryland with the Asymmetric Warfare Group (AWG) and will hopefully not be deployed again. Andy is married to Dr. Elisabeth Varner, DVM (as of May 3, 2014) and lives in Arlington, Va. I will miss yet another reunion this year, as we will be visiting Jim's family in Maine. Would love to see how well everyone is aging. I still live in Newport, Rhode Island with my husband, Jim, and cats, Brooklyn and Serena. We are both retired, love to travel, hike, sail, ski, garden and I teach Asian, Moroccan and Italian cuisine cooking classes. I am involved with several non-profit organizations, the focus of these non-profits is education and animal welfare. I enjoy photography and make picture cards from our travels. This year we are celebrating our 40th wedding anniversary by hiking the Canadian Rockies, both Jasper and Yoho Parks, and end the trip in Montana at a friends horse ranch. We are still involved with two girls' school in Madurai, India. At Lady Doak College, there are 17 young ladies currently on scholarship through our foundation. We will visit the schools again in 2016, with side trips to Sri Lanka and Burma. I visit family in Eau Claire once or twice every year, and will be "home" in mid August this year. My mother lives in Eau Claire and my brother, Gregg (class of 68) lives in Altoona with his wife, Kris (North High). I remember the "lunch-time cruising", walking counter clockwise on the first floor, checking out who's dating whom, what the cool girls were wearing and which guy was being admonished to tuck in his shirt. Did we really do that every day?? Jane Webert Moore has a birthday today. 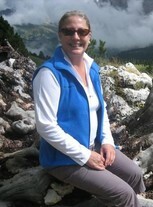 Jane Webert Moore updated her profile. View. Jane Webert Moore changed her "Now" picture. Jane Webert Moore added a photo to her profile gallery. New comment added.